Boeing [NYSE: BA] and four customers have signed commitments for a total of 93 737 MAX airplanes, including a carrier that has committed to 40 of the high-capacity version of the MAX 8 airplane. The commitments, valued at nearly $11 billion at current list prices, were announced at the 2018 Farnborough International Airshow. 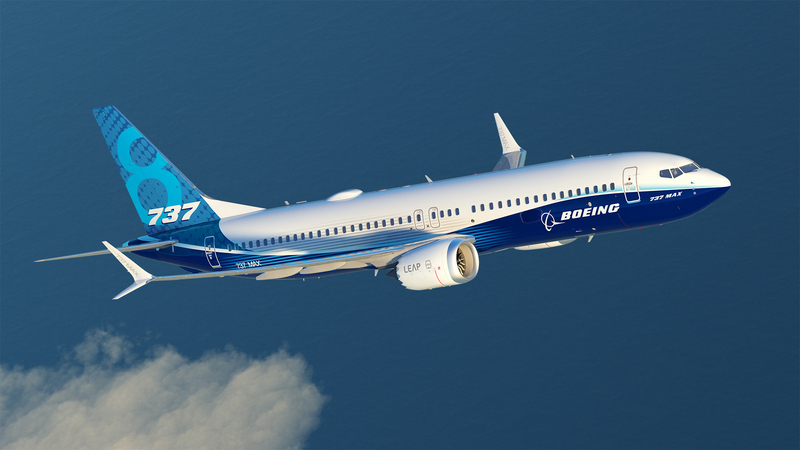 FARNBOROUGH, United Kingdom, July 18, 2018 /PRNewswire/ -- Boeing [NYSE: BA] and four customers have signed commitments for a total of 93 737 MAX airplanes, including a carrier that has committed to 40 of the high-capacity version of the MAX 8 airplane. The commitments, valued at nearly $11 billion at current list prices, were announced at the 2018 Farnborough International Airshow. The agreements will be reflected on Boeing's Orders and Deliveries website when they have been finalized. The four unidentified customers hail from the airline and airplane leasing industries. "Today's announcement is yet more proof of the strong demand that we continue to see around the world for the 737 MAX airplane family," said Ihssane Mounir, senior vice president of Commercial Sales and Marketing for The Boeing Company. "The best-in-class capabilities of the 737 MAX - its superior efficiency, reliability and passenger comfort – are driving the long-term success of this popular program." The 737 MAX family is designed to offer customers exceptional performance, with lower per-seat costs and an extended range to open up new destinations in the single-aisle market. The MAX family provides operators a 14-percent improvement over today's most efficient single-aisle airplanes. The high-capacity MAX 8 variant, which can accommodate 200 seats, offers up to a 20-percent fuel efficiency improvement per seat. The 737 MAX incorporates the latest CFM International LEAP-1B engines, Advanced Technology winglets, Boeing Sky Interior, large flight deck displays and other features to deliver the highest efficiency, reliability and passenger comfort in the single-aisle market. For more information and feature content, visit www.boeing.com/commercial/737max.